that they have a younger brother, Angelo, who thinks he is damaged for life. down on us sooner rather than later, threatening more than our happiness. complete until forever belongs to the four of us. 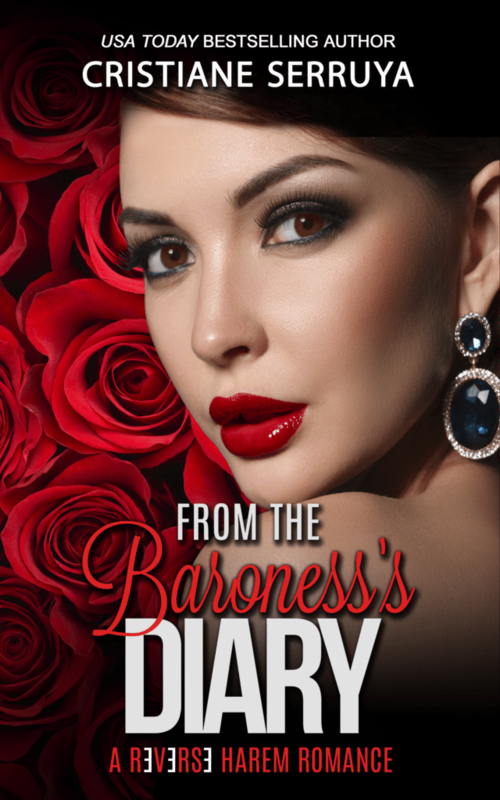 FROM THE BARONESS’S DIARY III: THE HAPPILY EVER AFTERS releases 8/28 – preorder now! Today we are celebrating the release of RENEGADE COWBOY by Sara Richardson. This is the third book in her Rocky Mountain Riders series. Don’t miss her ‘Cowboys for Christmas‘ giveaway event taking place all this week. Fantastic prizes are up for grabs! There are some books that make for bedtime reading and then there are those that give you sleepless nights. The good kind. These are the books that you shut every so often, close your eyes, take deep breaths and let the words seep in, commit them to memory and lay in bed pondering over them for hours on end. Words From an Unlikely Poet is one such book. It is not everyday that one of your favourite bloggers comes out with his own book. Hence, I rushed to get my hands on a copy of it as soon as it came to my knowledge. Needless to say, I was very far from disappointed. The book, an anthology of poems, is written by an unlikely poet who is anything but unlikely. Charlie Hasler’s way of writing is simple yet profound. He has a way of hitting the hammer straight on the head of the nail, while at the same, hitting a nerve in you. It’s the kind that lends a new perspective every time you go back to read it. Maybe that’s why it’s taken me a week to write this review after I finished reading the book last weekend. I believe the best gift a writer can give to you is a piece of writing that makes you think. Charlie Hasler has done just that. His book covers it all, from the stark realities of life, to the inner turmoil and conflict each one of us faces, right down to the artificial, painted on, ephemeral nature of the world around us. Bordering on inspirational, some poems will make you rethink your way of life. Others yet, are funny in their own sarcastic, breezy way. Yet, each and every poem carries a message. A message for us to decipher from within multiple layers, or maybe multiple messages. I’m still solving them. The writing is sublime and crisp. Not a word extra, not a line that doesn’t justify its existence in that exact spot. The book is a shining example of clean writing which easily engages with the reader. My personal favourites from the beautiful poems contained in this book are ‘The Prison I Create’, ‘Burn On’, ‘The Climb’, ‘Guilt’ and ‘Discount Town’. Not that I’m anyone to judge, but I rate this book a 5/5. If you’re looking to get a copy of it for yourself, the links for both kindle and paperback editions are enlisted down below. Remember to let me know your views on it! I’d love to have a discussion. Hello, all! I hope you’re having an amazing weekend. Also, Happy Halloween! As most of you booklovers must already know, The Fortunate Ones by author R.S.Grey is slated for release on November 1. I came across some exciting news regarding the same which allows you to preorder a copy of the book for just 99 cents. Now that’s an absolute steal, if there ever was one! Hence, in the interest of all readers, I’m sharing the details, exactly as I found them, hereinbelow. Order your books now! THE FORTUNATE ONES by R.S. Grey releases November 1st and you can now preorder your copy for just .99c before the price goes up on release day! Find out more about THE FORTUNATE ONES below and preorder your copy today! Preorder your copy of THE FORTUNATE ONES for 99c now! Reviewed a Fantasy/Magic Book – The Crowns of Croswald by D.E.Night – on my book blog. Reblogging the post here. All those who love to read and are constantly scouring for book recommendations to add to that never-ending “To Be Read” list which, quite frankly, gives one bouts of anxiety, please visit and follow the book blog for constant reviews, news on new releases, author interviews, recommendations and updates. Thank you! If you’re anything like me, you must have grown up on a steady dose of fairytales like Cinderella, explored the world of magic through the eyes of Matilda and went off to Hogwarts with Harry Potter and his lovable friends. Then during teenage years, binge watching The Princess Diaries would have been your one, true guilty pleasure. If you’ve nodded along to everything above – and of course you have, because who hasn’t wanted to find out their true identity was a princess/prince as much as they wanted to find their Hogwarts acceptance letter in the next mail! (I’m still waiting for mine, to be honest) – then The Crowns of Croswald is a perfectly blended joyride for you. Reviewed The Eternal Struggle: An Amorous Story, by Lawrence G. Taylor on my book blog. Reblogging the post here. The Eternal Struggle: An Amorous Story, by Lawrence G. Taylor, is a very welcome breath of fresh air in a world inundated with romantic novellas. The story, weaved with an underpinning of love, is essentially a study in human nature beautifully depicted through the two main characters of James and Maude. The reader is introduced to James at the very beginning. He is shown to be a Guyanese hobby photographer and an upcoming fiction writer with a good taste in music. Despite being weary of discos as well as meaningless, faithless romantic encounters, he is talked into going to a particular disco one fine night by his best friend. He ends up meeting Maud, a free-spirited, staunch feminist with a strong personality. They meet and thereby hangs a tale.